FAST are situated on the east side of the borough next to the boundary with Lambeth. The work they do is vital in a much neglected part of the community. We have been able to supply various grants including but not exclusively IT equipment to help people construct CVs, search for jobs etc. We have also provided financial help for mentoring/intervention workers and rent for the office space. 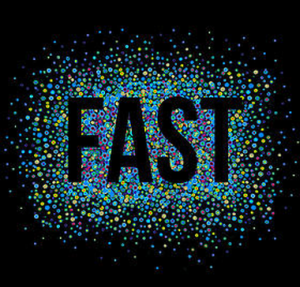 FAST was founded by Kerry Astin, a resident of South West London for 10 years. Through working specifically on the Patmore Estate for several years she, alongside a lifelong resident on the estate, identified a need for work with young people in the area. Many are facing issues of drugs, crime, violence and gangs and so they began to investigate with them how their needs could be addressed and how they could be empowered to make a difference in their own lives, in their families and in the community. "Our approach is based on working ‘with’ people; we are passionate about raising up local leaders, empowering the community and encouraging collaboration. Our work with young people is holistic, ensuring positive progression towards health physically, emotionally, socially and spiritually. We believe local young people have huge potential, which is why we work to create shared experiences through our activities and empower people to use their imagination to develop dreams into reality. FAST encourages action against injustice and promotes proactivity, ensuring the community plays a central part in the transformation of the neighbourhood as well as their own lives."